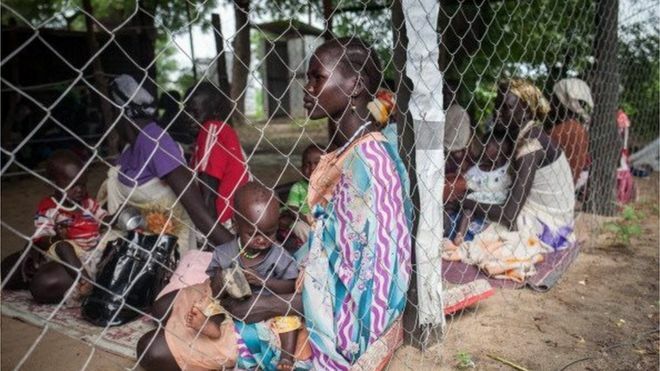 South Sudan’s army and allied militias “abducted, torched and gang-raped girls” during fighting against rebel forces, a UN report says.Investigators found that at least 172 women and girls were abducted and subjected to sexual violence, it added. One woman was “dragged out of her hut and gang-raped in front of her three-year old child”, the report said.The government denies its army has committed atrocities but says it will study the report. The UN Mission in South Sudan (Unmiss) said abuses during the 18-month civil war had reached a new scale of intensity and horror in recent fighting in the oil-producing Unity State. “Survivors spoke of a campaign against the local population that killed civilians, looted and destroyed villages.Some of the most disturbing allegations compiled by Unmiss human rights officers focused on the abduction and sexual abuse of women and girls, some of whom were reportedly burnt alive in their dwellings,” it added. The report added that in one incident, a woman was made to hold red-hot coals in her hands in an attempt to force her to reveal the whereabouts of rebel fighters. President Salva Kiir‘s spokesman Ateng Wek Ateng told the BBC he did not believe that troops would commit atrocities against their own people.However, he said the allegations contained in the report were “too serious to ignore”. 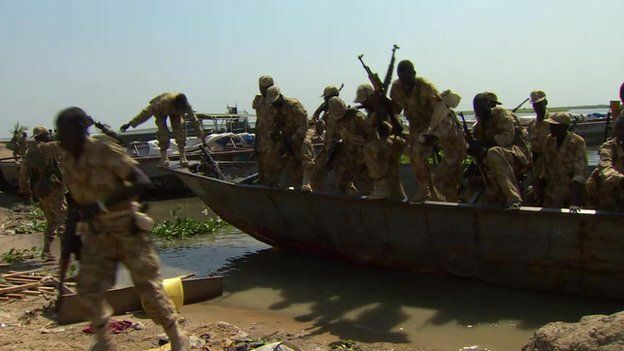 The government would study the report, and take appropriation, he added.The military launched a major offensive against rebel forces in April, with fierce fighting in Unity state’s northern Mayom district, once a key oil producing area. The civil war began in December 2013 after Mr Kiir accused his sacked deputy Riek Machar of plotting a coup.Mr Machar denied the allegation, but then formed a rebel army to fight the government. Various efforts to mediate an end to the conflict in South Sudan, the world’s newest state, have failed.Earlier this month, a UN humanitarian co-ordinator in the country, Toby Lanzer, was expelled by the government. Reports say he was kicked out for highlighting the plight of those caught in the conflict. Posted on 1st July 2015 by newsafrica. This entry was posted in Africa, Child Soldiers, Machar, President Kiir, South Sudan and tagged Bentiu, Cholera, Health minister, Juba, Riek Machar, Salva Kiir Mayardit, South Sudan, United Nations, Unity (state), World Health Organization. Bookmark the permalink.